The traditional approach to teaching mechanical engineering has been to cover either mechanics or thermofluid mechanics. 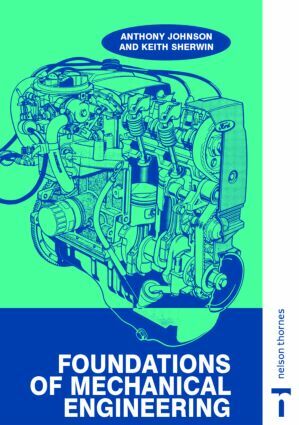 In response to the growing trend toward more general modules, Foundations of Mechanical Engineering provides a unified approach to teaching the basic mechanical engineering topics of mechanics, the mechanics of solids, and thermofluid mechanics.Each chapter provides a systematic approach to the subject matter and begins with a list of aims and concludes with a summary of the key equations introduced in that chapter. Copious worked examples illustrate the correct approach to problem solving, and outline solutions for all of the end-of-chapter problems let students check their own work. The authors have judiciously minimized the mathematical content and where necessary, introduce the fundamentals through diagrams and graphical representations.With complete basic coverage of both statics and dynamics, the mechanics of solids, fluid flow, and heat transfer, Foundations of Mechanical Engineering forms and ideal text for first-year mechanical engineering students.